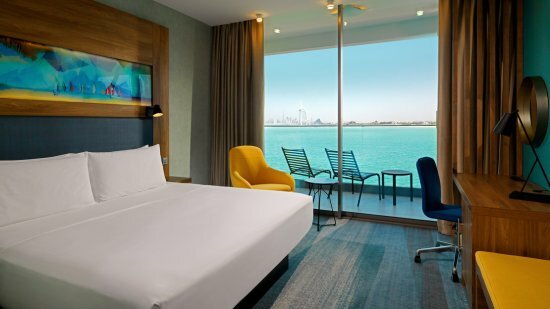 Enjoy the trip of a lifetime to dazzling Dubai, with a stay at the ultra-hip Aloft Palm Jumeirah. A sleek retreat, the hotel stands stylishly behind a row of palms, overlooking the island promenade and the azure waters of the Arabian Gulf beyond. Spend your glorious sun-drenched days enjoying the exclusive private beach, or instead head into the city of superlatives to sightsee. Evenings can be spent dining on sumptuous cuisine at one of the hotel’s onsite eateries, before taking a blissful sunset stroll. The hotel offers a private beach on the tip of the east crescent of Jumeirah Palm island. 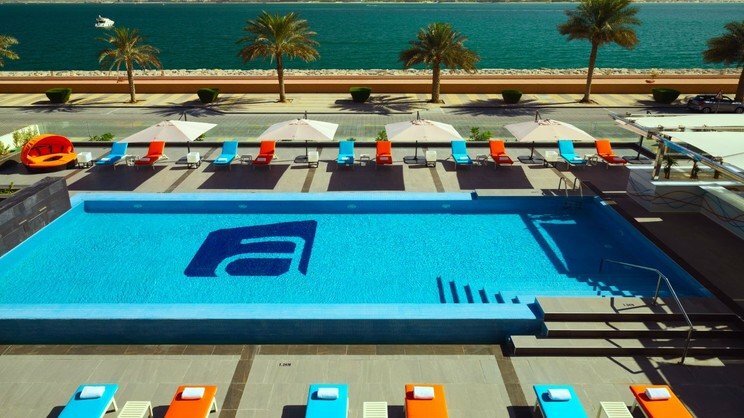 The Aloft Palm Jumeirah boasts a wide range of onsite amenities but is also close to a range of other hotels. Dubai International Airport is approximately 42km away from the Aloft Palm Jumeirah. Details may be subject to change. 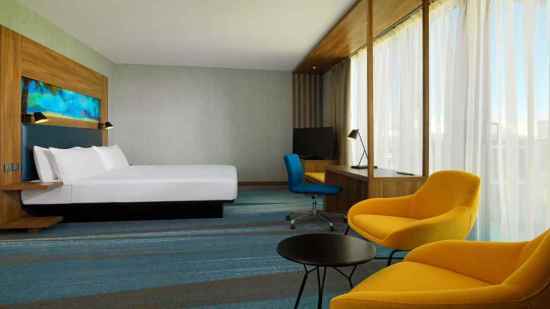 You will be provided with full details regarding your board basis on arrival at the hotel. The Aloft Palm Jumeirah hosts a ladies’ night every Wednesday, at the Luchador restaurant, where female guests can enjoy 5 complimentary drinks, a live band and DJs. Details may be subject to change. You will be provided with full details of the ladies’ night on arrival at the hotel.